As the institution stands in the territory of Jammu and Kashmir state of India. Under article 370 rules and regulations, NCTE rules does not apply . But this institution has a sufficient infrastructure to cater the needs of B.Ed students. 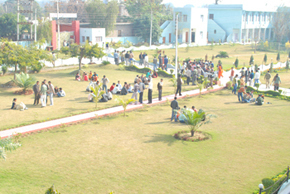 The college campus is spread over 14 kanals of land at Raipur, Bantalab, Jammu. There are 5 buildings (4double storey and one 3 storey). 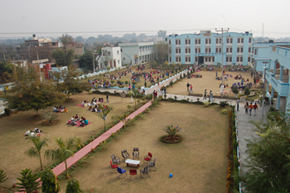 The academic block consists of lecture halls, college office, principal room, administrator’s room, computer lab, girl’s rest room, staff room, conference room, library, research room and hostel for girls only. All the rooms are airy, well ventilated and fitted with modern equipments. The institution also has a multipurpose auditorium with seating capacity of 300 hundred students. The college has separate men and women wash rooms. The college library is automated with (TLLS) Total Library Software Solution. It has 8070 books. There are 4 international journals, 18 national journals, 22 set of (99 volumes) encyclopedia,30 commission and survey reports and 300 reference books always available . The seating capacity of library is approximately 50 students at a time. The college has a full fledged computer Lab with 17 computers and internet facility. The college audio visual room is equipped with colour television LCD projector, overhead projector, cameras maps, charts Globes and models. 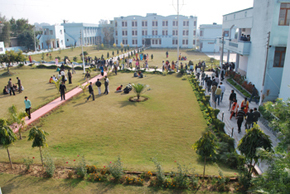 The college has a three storied hostel building consisting of 33 rooms with all the facilities. It is spacious enough to accommodate 150 female students. Each room has a capacity to accommodate 4 girls. It has a dinning hall with television facility in it. The institution has a separate staff for the hostel. The hostel staff consists of inresident warden, a mess manager, 2 cooks and 4 helpers. The college has a science lab designed as per the educational norms. The college has a multi purpose auditorium with the seating capacity of 300 students. The college also has a recreational room with indoor games ( table tennis, gym, carom and chess. There is a space for outdoor games such as badminton, volley ball, kho- kho.